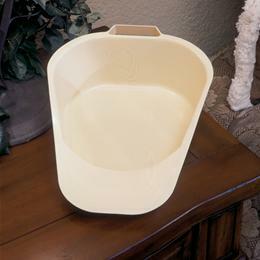 Fracture Style Bedpan: Fracture Bedpans Are For Use With Immobile Or Fracture Patients. Convenient For Use With The Assistance Of A Caregiver. Contour Shape For Extra Patient Comfort. May Be Sued As A Female Urinal. Molded From Polyethylene Plastic For Light Weight And Odor-Resistance. Easy To Clean With Household Cleaners.